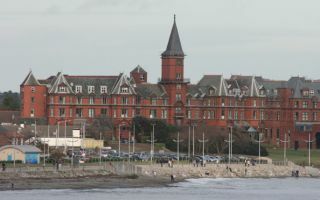 Named after Northern Ireland's highest mountain, the Slieve Donard Hotel is one of the most popular vacation hotels in the country. It enjoys a particularly scenic setting at the base of the majestic Mountains of Mourne overlooking Dundrum Bay and its long stretch of golden sand. 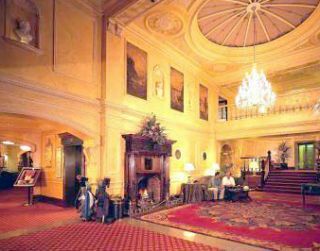 The hotel is an impressive Victorian structure built over a century ago. Guestrooms have been designed with an emphasis on comfort and style. Cozy bars and public rooms with open fires provide a warm and relaxing atmosphere. 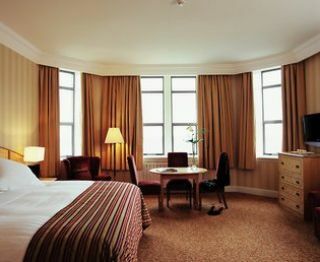 Both casual and formal dining options are available at Slieve Donard's renowned restaurants. Facilities on-site include a gym, an indoor heated pool, steam room, whirlpool and two tennis courts.